The “Clean Ireland Recycling — Let’s Recycle” initiative was launched in Clare in April 2018. Over three months, this workshop was held in 67 participating schools, reaching over 2,700 children. From September 2018, we will be bringing this initiative to Limerick and Tipperary. 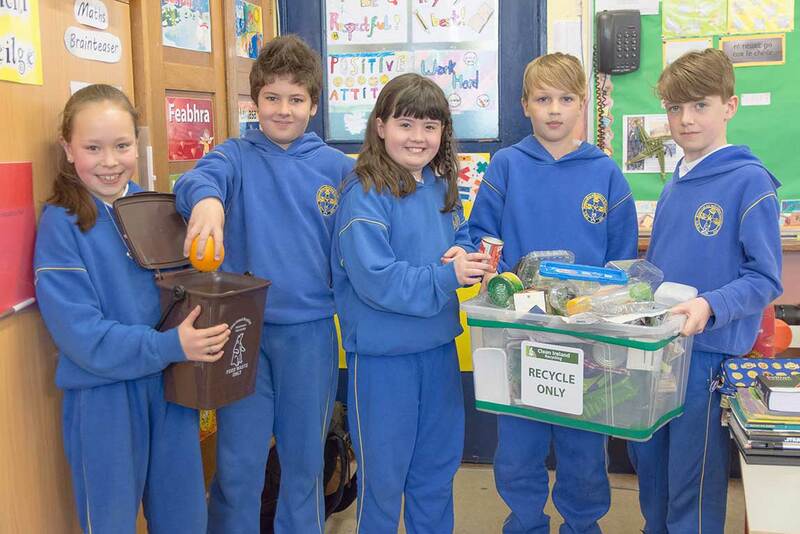 This initiative aims to provide information on recycling and the benefits and importance of recycling to 3rd and 4th class students in line with the curriculum strand, A Sense of Place – Strand Environmental Awareness. 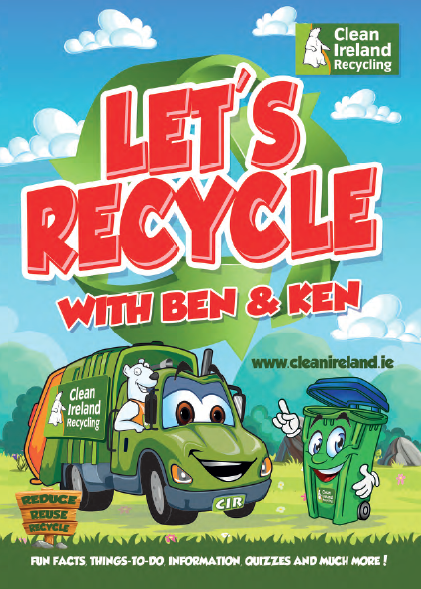 As part of our “Clean Ireland Kids — Let’s Recycle” initiative, a Clean Ireland Recycling representative will visit your school and host a fun and informative one-hour workshop that teaches children all about waste and recycling. There is no cost for this workshop. During the visit, the representative gives a general overview on waste and recycling through an interactive presentation. The new Household Recycling List (see www.recyclinglistireland.ie) is also explained. The kids then play a fun waste segregation game to put different kinds of rubbish into each bin. At the end of the visit, the children are given a child-friendly colourful “Let’s Recycle” booklet to bring home to ensure that the journey continues at home and they can continue to learn. Our final goal is to enable students to champion best practice when it comes to recycling so they can transfer this knowledge to home and also influence greater recycling within their schools. The workshops have been very well received by the children. One pupil after the workshop said: “That it’s actually more important to recycle than we think and we can save the environment in a lot of different ways.” It has also proven very helpful for teachers who are educating children about the impact waste and recycling can have on the environment. The workshop likewise fits in well with the Green Schools Ireland programme that is being run in many schools. If you’re interested in a Clean Ireland representative visiting your school and hosting a “Let’s Recycle” workshop, please contact cirkids@cleanirl.com for further details.